When it comes to connecting socially, it's almost certain to think of bigshots like Facebook, Twitter, etc. Well, being a Motor Enthusiast himself, client of ours from Australia, had a whole lot of plans for Motoring Enthusiasts around the world. 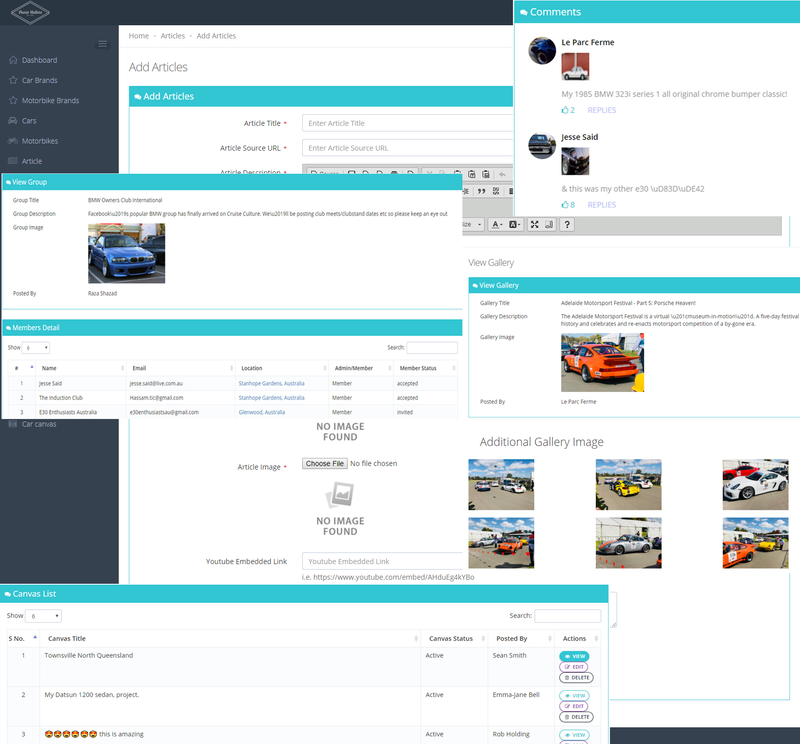 Our collaboration with him has resulted in a completely brand-new platform built to allow them to Connect, Interact and Participate in Meets, Events for Motor Lovers, no matter it's on 2 or 4 wheels. With 500+ downloads within weeks of launch of this application, it's all set to get big and is interesting the community already. Let's take a look at App Highlights. 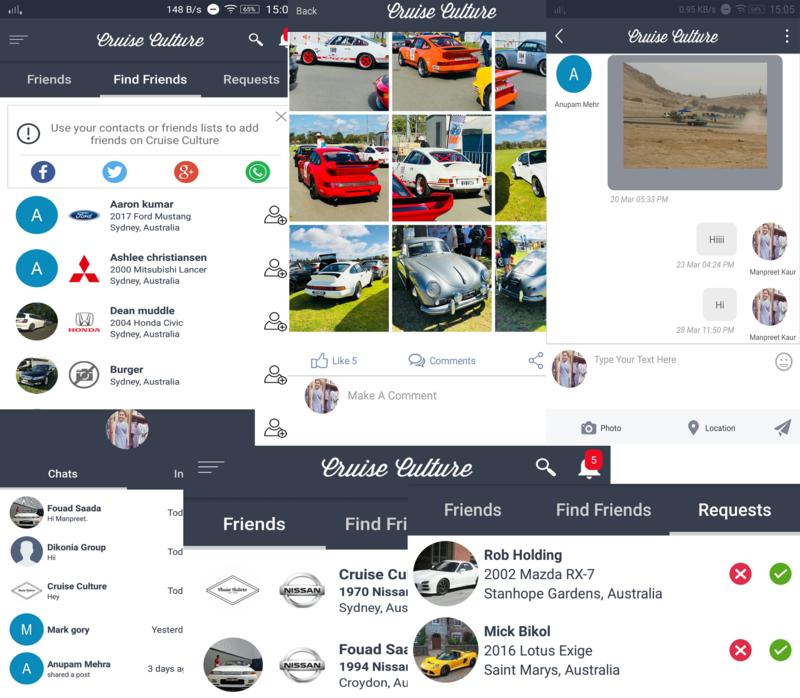 Android App, iOS App, Google Map Integration, Connect, Find Friends and Share on Facebook, Twitter and Google+, Organize and Participate in Meets, Cruises and Events, Latest from Motor World (News and Articles), Express with Emojis, Push Notifications, Private and Group Chat, REST API and much more. 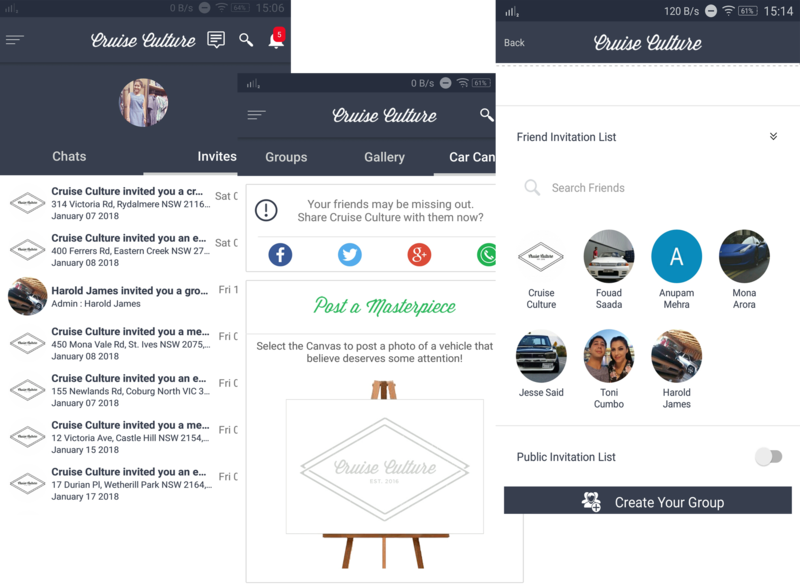 Invite, Connect and Interact - Focusing more on user engagement and promoting user's interaction among others, following are prominent features this app offers in this segment. a) Find Friends from Contact list & Social Media. b) Add your Comments with Location, Emoji and Pictures. c) Private and Group Chat. d) Suggestions for Friends and Groups based on your Vehicle(s). a) Friend and Group suggestions. 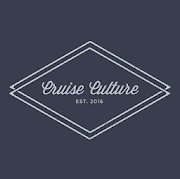 b) Add Track for Meets, Cruise & Events. c) Add Pit stops (highlighted on Map). 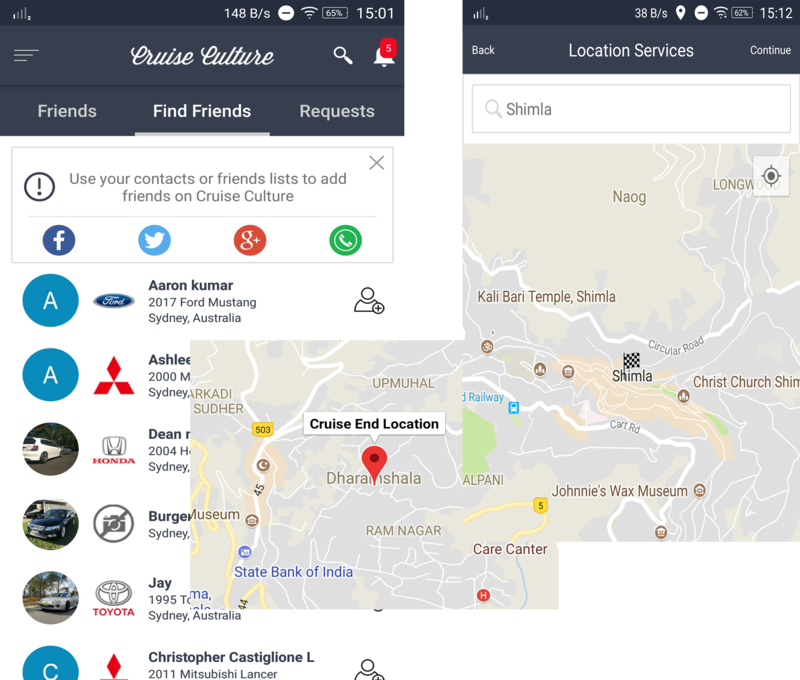 Organize and Participate in Meets, Cruises and Events - One of its most exciting features that has enabled users to love this app is ability for them to Organize Meets, Cruise and Events on Local, State, Nationwide and World-wide levels. Users are also Reminded for upcoming meets, cruises and events that they are attending. 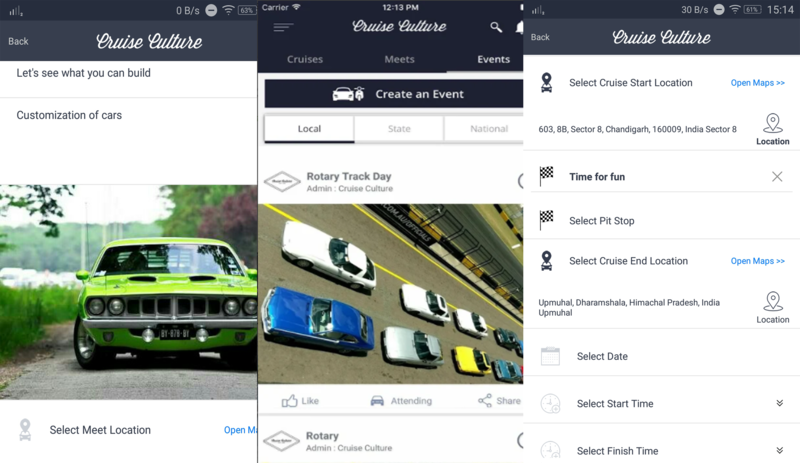 a) Share instantly pictures of vehicles and your cruise with Car Canvas. 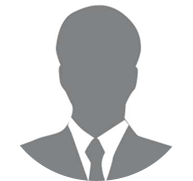 b) Create Clubs and Groups to post Photos, Information and Enjoy regular events with. c) Send out Friend or Public invites for other users to join so you can Post, Share Information as well as Create your own Gallery. a) User and Event Reports. b) Reporting Stats - Any comment, event, post, etc. reported by users. d) News and Articles posting to app. We were impressed with their constant communication and positive attitude. Dikonia compared favorably with a previous vendor in terms of transparency and responsiveness. Despite scope creep and timeline issues, Dikonia accommodated revision requests and communicated clearly. Dikonia met every single milestone that we have set. If they were unable to deliver on time, they kept us informed.